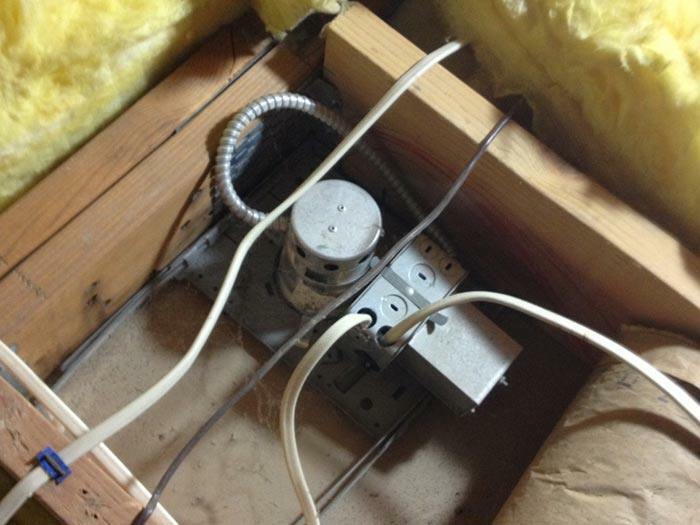 Uninsulated ductwork will be affected by hot or cold attics, forcing your HVAC to run longer to heat or cool your home. 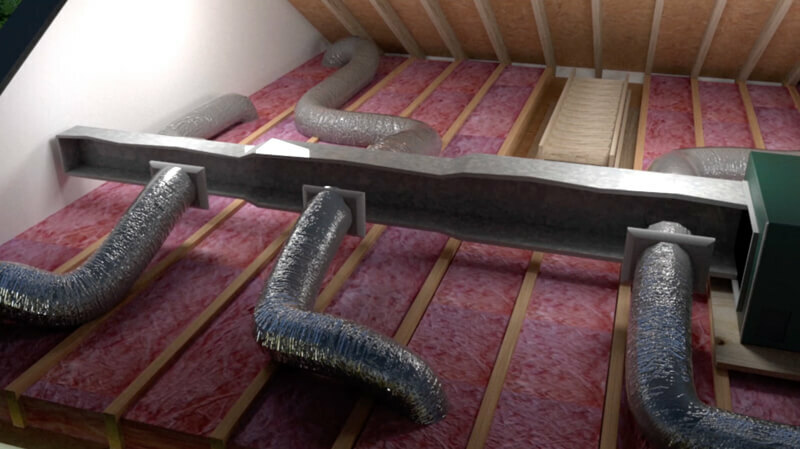 Insufficient attic insulation, poor air sealing, and uninsulated ductwork are all common problems that will lead to uncomfortable rooms and make your home less efficient. Air sealing your attic and ducts, installing blown cellulose insulation, and insulating ductwork will eliminate these problems. Leaking ducts will reduce airflow into the living space and force your HVAC system to run longer to get your home to the right temperature. 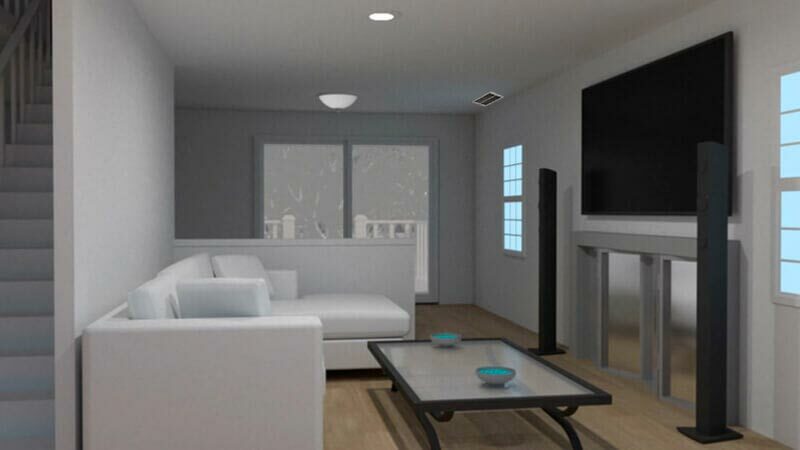 If you have inconsistent temperatures throughout the home or in isolated individual rooms, we can help. Insulation upgrades, duct sealing, and duct insulation are among the services that can help create even, comfortable temperatures in the home and reduce heating and cooling costs. In this attic, we added a super deck floor, installed blown cellulose insulation behind plywood dams, properly vented a bath fan, and installed a David Lewis Hatch Cover to air seal and insulate the attic. This uninsulated, leaky ductwork was fixed with our Tight 'n True duct encapsulation system to make the rooms below the attic more comfortable. Recessed lights such as the one shown here are a common source of air leakage. 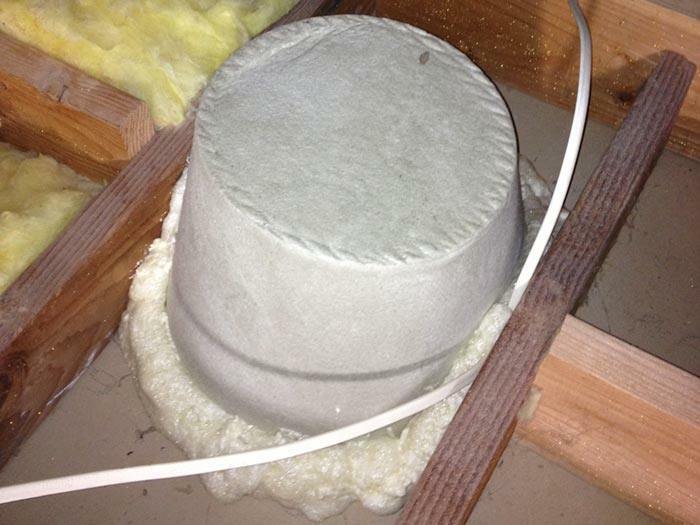 By air sealing the gaps around with light with our expanding foam, we can prevent the air you pay to heat and cool from escaping to the attic. Attic Systems is the largest network of attic air sealing & insulation contractors in North America, and we can help you make your home more comfortable all year long!